And lastly, Mara Hoffman herself. SO adorable. 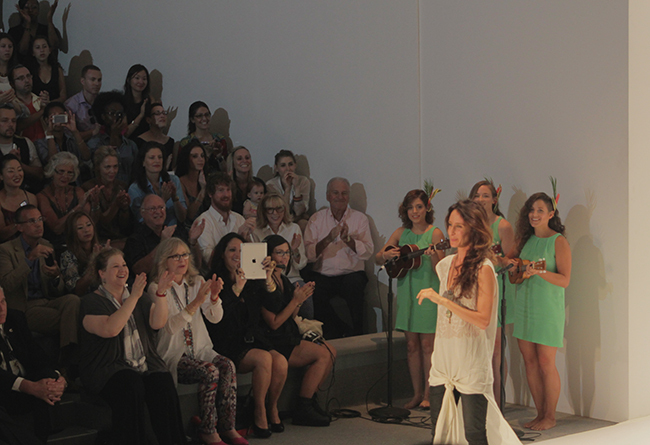 If New York Fashion Week had an award for the most adorable fashion show, Mara Hoffman would be the winner without a doubt. 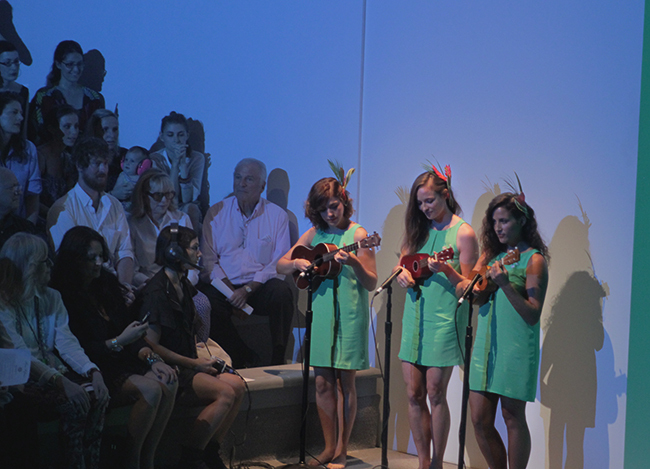 As the show began with a trio playing the ukelele, it almost felt like I was drifting off to a tropical resort away from the Fashion Week frenzy that we were in the middle of. 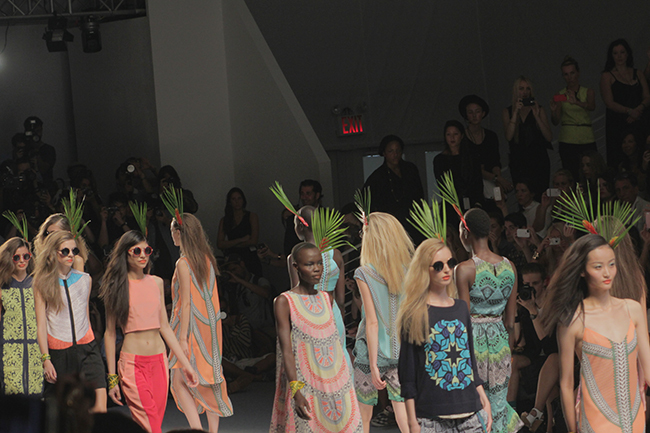 Colorful prints and bralettes were prevalent in the collection and the awesome palm tree headpieces which I'm seriously considering making, added to the exotic feel of the show. 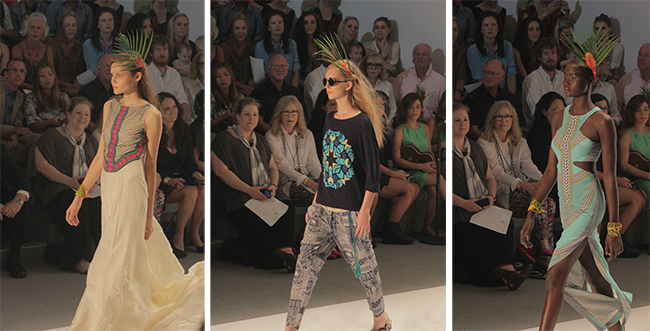 Although sweet and summery, Mara Hoffman kept the look from getting too precious with fierce sunglasses and bold cutouts (personal favorite). 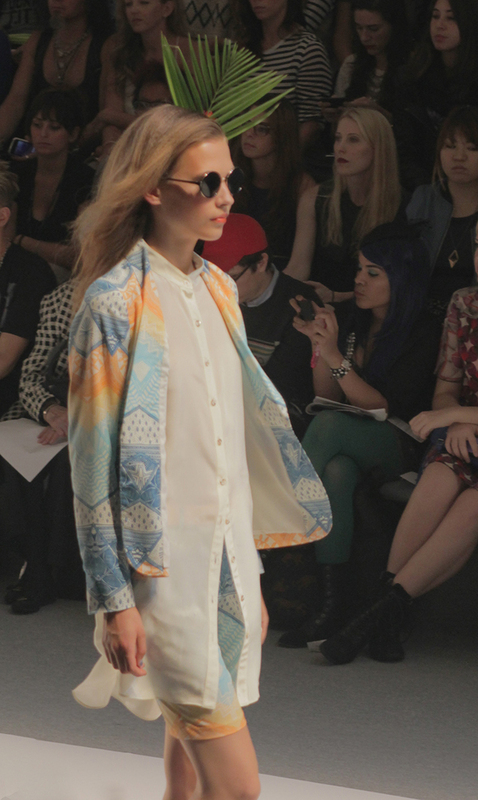 The collection makes me want to purposefully have an excuse to go on a cruise or lounge by the beaches in Hawaii. Mara Hoffman definitely wins in the cuteness factor and also for having the best playlist. Ok as i can see summer havent end! 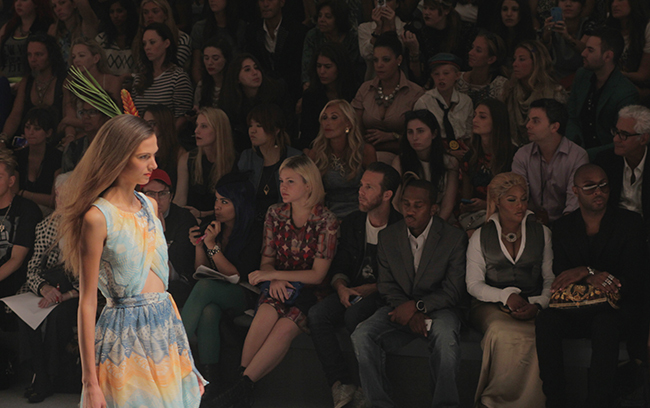 I absolutely love these pictures, the Mara Hoffman show looked absolutely spectacular! I've been living through NYFW through the many tweets, blog posts and instagram pictures of those lucky enough to attend this incredible week of fashion! There's a new post up on my blog and I'd love to hear what you think of it, so feel free to stop by! Soooo jelly! This is so cool, Judy! Love this collection! Awesome collection! I love the pics! the prints and designs are super duper cute!